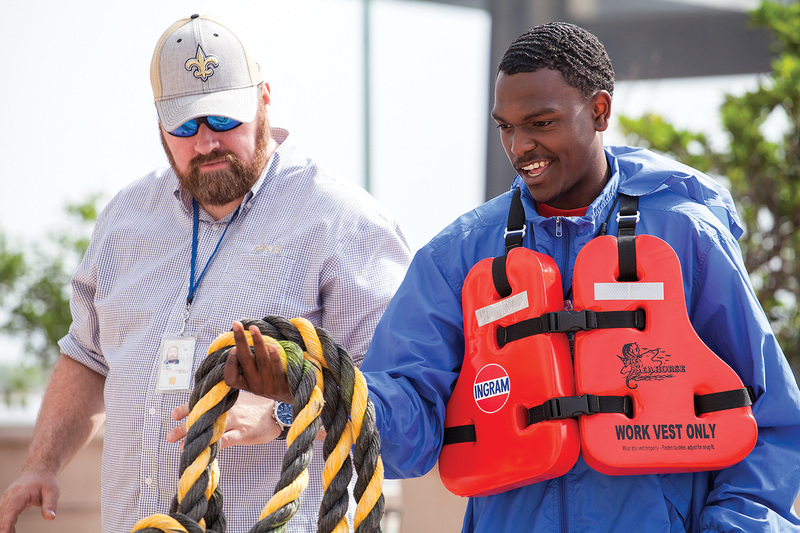 Nearly 150 high schoolers gathered at the Port of New Orleans March 28 for RiverWorks Discovery’s Who Works the Rivers maritime career discovery day. 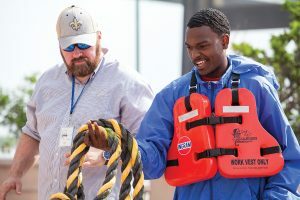 The free event, which drew students from the parishes of Jefferson, St. Charles, St. John the Baptist, St. Bernard and Orleans, offered students hands-on experiences and personal interactions with maritime professionals from the New Orleans area. This was the first year the New Orleans installment of Who Works the Rivers has been held at the Port of New Orleans’ administrative building, located on the east bank of the Mississippi River near the Crescent City Connection bridge spans. In years past, the event has been held at one of the port’s cruise terminals. Errin Howard, director of RiverWorks Discovery, said the change in venue had an enormous impact on the overall experience, because it placed students in the context of a working river environment. Inside the port administrative building, students heard from a panel of maritime professionals who spoke on subjects like life on a boat, pathways to success and advancement in the maritime industry, and interview and application recommendations. “What I heard from teachers was the indoor sessions were great and much needed,” Howard said. Outside, students had the opportunity to speak with members of the U.S. Coast Guard and climb aboard a Coast Guard harbor patrol boat, interact with terminal operators and fleet managers, and try their hand at throwing a line. Jerry Berry, a captain with Savage Marine, led the line-throwing station as a representative of the Maritime Throwdown, an annual line-handling competition aimed at challenging current mariners and recruiting newcomers to the industry. Throughout the rotations, students also got to hear from deckhands, captains and even company executives. 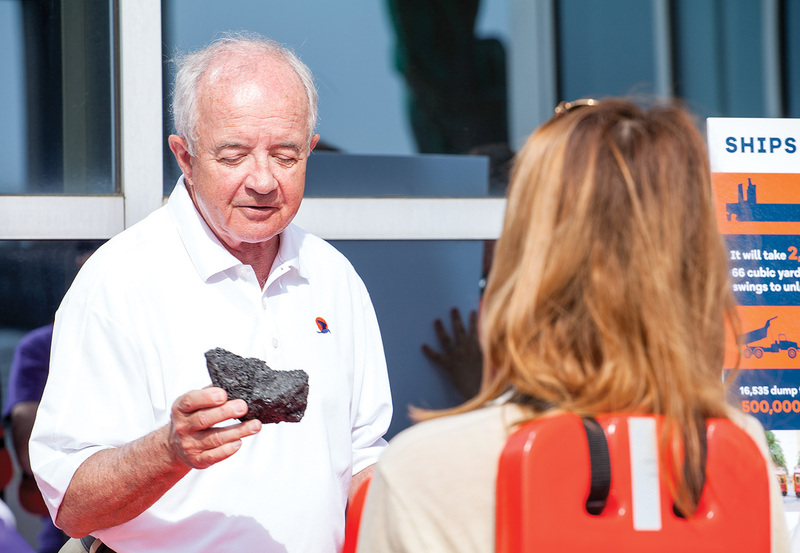 Frank Morton of Turn Services discusses coal. 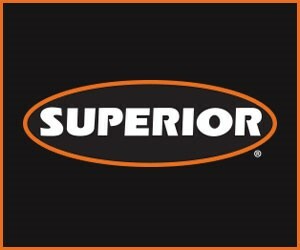 Frank Morton, founder and director at Turn Services, led a commodities station. Representatives from Delgado Community College’s Maritime & Industrial Training Center had a firefighting simulation station on site. Capt. Matt Lagarde, director of regulatory compliance for ACBL, helped lead the line-throwing station, while Turn Services hosted a rigging station for students to experience. Craig Broussard and Gene Rivarde from ADM/ARTCO were on hand to speak with students about living and working on towboats. Industry partners who helped sponsor the New Orleans Who Works the Rivers event included AccuTRANS, ADM/ARTCO, American Commerical Barge Line, Associated Terminals, Canal Barge Company, CGB Marine, Cooper/T. Smith, Crescent Towing, Delgado Community College’s Maritime & Industrial Training Center, Ingram Barge Company, the Maritime Throwdown, Port of New Orleans, Port of South Louisiana, The Seamen’s Church Institute, Turn Services, UNOTI and the U.S. Coast Guard. Besides spending time at the port, students also had the chance to cross the river and tour Crescent Towing’s base of operations in Algiers and go aboard the mv. Mardi Gras, one of the company’s New Orleans-based harbor tugs. Touring a Crescent Towing harbor tug; walking through the wheelhouse, galley and engineroom; and speaking with a seasoned captain is always a highlight of the New Orleans Who Works the Rivers event, Howard said. With the change in venue to the port and a continued partnership with regional career and technical education coordinators, Howard said this was the best Who Works the Rivers yet for the New Orleans area. Jerry Berry of Savage Marine works with a student on line-handling. “It keeps getting better and better every year with the changes we make,” she said. Upcoming events for RiverWorks Discovery include Who Works the Rivers events in Louisville, Ky., April 11, Pittsburgh, Pa., April 19, and Tulsa, Okla., May 3. RiverWorks Discovery will also be part of the Inland Rivers, Ports & Terminals annual conference in Cincinnati, Ohio, April 24–26. 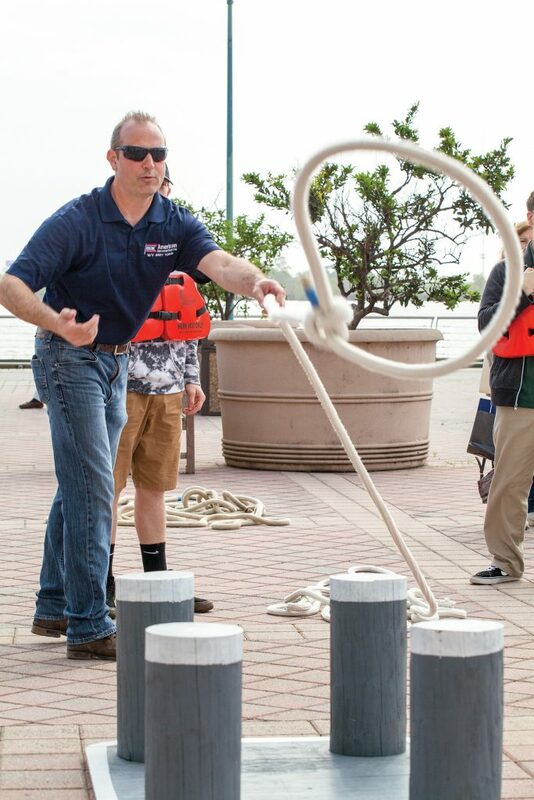 Then, May 23–24, RiverWorks Discovery and the Maritime Throwdown will host a line-throwing contest and information booth at the Inland Marine Expo in St. Louis, Mo. For more information on RiverWorks Discovery or Who Works the Rivers, go to www.riverworksdiscovery.org.